Vermicomposting is worming its way onto farms everywhere. Here’s why you should fertilize with worm castings, and how to grow your own worm composting unit. I’m always looking for new ways on the farm to reuse, recycle and repurpose, and there’s nothing I love more than an opportunity to reduce the amount of waste we produce. The other thing I really get passionate about is finding new and inventive ways to do things naturally, like killing weeds with vinegar solution instead of toxic weed killers and fertilizing the garden with Epsom salts and coffee grounds instead of chemical soil enhancers. So when you can combine these two things, I’m a happy girl. Let me introduce you to vermiculture, the practice of raising worms for their castings, which is essentially worm poop. 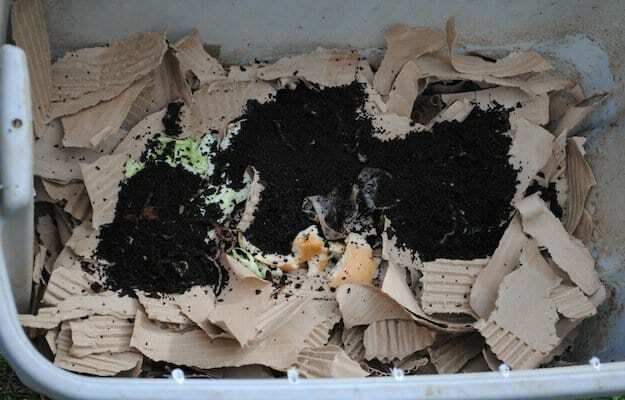 Vermicompost is a dark, peat-like material, higher in nutrients than regular compost. It is said to contain five times more nitrogen, seven times more phosphorus and 11 times more potassium than traditional compost! UNIQUE PLASTIC INNER COMPOST BUCKET prevents composting acid metal degradation, eliminates ugly plastic bag in the Composting Bin and makes easy carries from kitchen composter to the outdoor compost tumbler. No need for compostable bags. ANNOUNCING SPECIAL e-VENTS: fluorocarbon microporous ventilation technology used in industrial composting covers. These lid MICRO VENTS do not attract nor allow flies, roaches or critters, solving the bug nesting and attraction problem of all other kitchen composters. They also control green-waste odors, are hydrophobic, oleophobic and acid proof, while allowing ventilation and air transmission. NOW WITH DOUBLE CARBON FILTER for further odor free operation. Kit includes 4 ODOR TRAPING DOUBLE FILTERS so you have plenty replacements for the composter. It is also broken down faster than a regular compost pile, due to the worms’ activity, and the huge bonus is that they essentially do the turning of the compost pile for you, aerating the material and eliminating the back breaking work that has always put me off having a true compost heap in the past. Some sources say that the worms actually eat the waste, others say that what the worms are actually consuming is the microorganisms that cause the food to decay. The modern research appears to support the latter theory and, for this reason, if the food is slightly rotted when you add it to your worm bin, it will help the process along even better. Food that should not be fed to chickens or the dogs because it is ‘off’ or moldy, is a gourmet meal to your new friends. They will quickly turn it into gold for your garden. Vermicompost is favored among gardeners as a superior natural-fertilizer because, unlike other natural fertilizers, such as horse and chicken droppings, it is not ‘hot’ and the Vermicompost can be added directly to the soil around the plants, providing enrichment and a huge nutrient boost without risk of burning the plant and its roots. . Unlike manure from other livestock, worm castings have been shown to contain lower levels of contaminants such as feed additives, antibiotics, and other medications, making it ideal for chemical conscious and organic farmers. 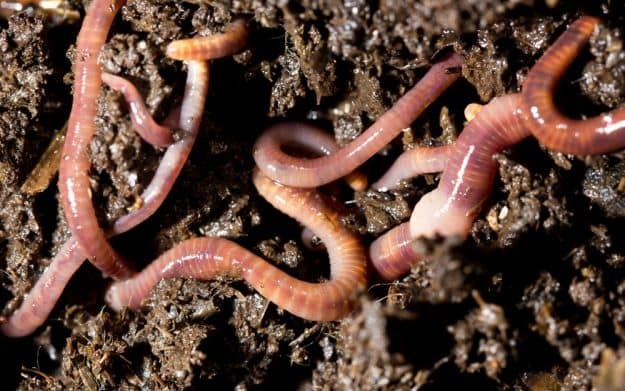 The two most common worms used in vermiculture are Red Wigglers (Eisenia fetida) and European Nightcrawlers (Eisenia hortensis). There are enthusiasts of both varieties, but it seems that the former is the most widely used so, for the purposes of this beginner setting up her first worm farm, that’s what I chose to use. Where Do I Buy The Worms? Worms can be bought online, and are probably one of the more unusual things you will ever receive through the mail. Prices vary, but read around for reviews and recommendations when buying worms sight unseen by the pound, as there are stories of companies sending what essentially amounted to boxes of dirt and trying to convince the customer that the worms were in there, but were just very, very small. Includes digital instructional manual with step-by-step guide for managing your Worm Factory 360. Because I live near the river, places selling bait worms are practically every fifty yards down the road. So I simply stopped at one of those and bought a bunch of red wigglers. A worm will eat half of their body weight each day in waste material, so consider the waste output of your household when deciding how big you want your worm farm to be. So what will they eat? Basically, they will consume all kitchen waste, and if it is moldy or slightly rotted, so much the better. 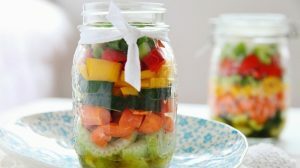 As I mentioned above, it is the micro-organisms that they eat, not the actual food, so speeding the process by offering them food with the micro-organisms already present is beneficial to them. Vegetables, fruit, bread, pasta, eggshells, coffee grounds and tea bags, paper towels, shredded newspaper, junk mail, and napkins are great – and even limited amounts of aged manure from poultry and rabbits. Citrus should be avoided in quantity, and do not add salty or greasy foods as these do not break down correctly. The key is to not add too much of any one thing at a time, or you could upset the pH balance of the farm. They need a pH between 7 and 8, so if you are unsure, it might be a good idea to buy some litmus paper and test it; if you find it is too acidic, add some baking soda or some crushed eggshells, too alkaline and you can add some 3/1 water/vinegar mix. Eggshells are good for worms because they process their food in a gizzard, and the eggshells help them digest it properly, kind of like a chicken needs oyster shell and grit! Quickly check the temperature in your worm bin so you can know if your worms are in danger! Color-coded gauge alerts you to dangerous temperatures with just a glance so that you can take corrective action. Eliminate the guesswork involved in maintaining your worm bin and experience the peace of mind knowing that you will always know if a problem arises. If you detect an unpleasant smell coming from your worm farm, or you have a cloud of fruit flies hovering, you’ve probably been overfeeding, and the worms cannot keep up, thus making the habitat too damp. Try adding some more dry bedding – shredded newspaper, cardboard or dry leaves — and hold off feeding for a few days until the worms catch up. The container that you choose for your worm farm should have a good amount of surface area and be fairly shallow; a bucket is not a good choice, but a Rubbermaid container or similar will work well. These can be found pretty cheaply at Walmart, but I had a dirty, old one hanging about in the shop, so I decided to use that. You’ll also need a lid to go with it. The tub needs to be opaque, as worms are sensitive to light. The first thing you need to do is drill some holes in the tub. I drilled a bunch of 1/8″ holes in the top and sides for aeration. Worms are aerobic, just like human beings, and require oxygen to survive. Without proper ventilation in your tub, the atmosphere in it will become toxic and the worms will eventually die. I then drilled some 1/4″ holes in the bottom of the tub for drainage. Be sure to drill the holes in the lowest part of the tub where the liquid created by the worms process will gather; you’ll see that most tubs have a ‘gully’ around the edges of the bottom, this is where the liquid will sit, so drill here. The liquid that comes out of the bottom is called leachate and can be gathered to use as liquid fertilizer for plants. The idea way to do this is to have a second Rubbermaid tub, slightly larger than the first, and you can stack the smaller tub inside the larger, with a couple of rocks or small pieces of 2×4 inside the bottom tub to boost it up. Next, shred up some paper for bedding. I had a bunch of old cardboard boxes lying around waiting to be burned, so I deconstructed them, split the three layers of cardboard, and then shredded it roughly. Add a good thick first layer, and then gather some food. If you are putting your worms in right away, as I was, try to add some food that is already slightly rotten, so that the worms have something to eat from the get-go. I had a mushy cucumber that I had been meaning to throw to the chickens, so I put that in, along with some coffee grounds, and some bread. Then I added my worms. They came with a few casings in the tubs with them, so I dumped that in for good measure too. Then I added more bedding on top, sprayed it with water to damp it down and laid down a piece of flat cardboard on top to hold in moisture. Then I clipped on the lid and took the whole thing down into the cellar, where it was going to live. Because I live in the South, finding somewhere cool to put the bin was a challenge. Worms should not be exposed to temperatures below 50F and above 85F and they reportedly feed fastest at temperatures between 59-77F. In the South, that’s a tall order, and we don’t even have AC in the house, so I decided that the cellar was the best place for them during the summer. When To Harvest Your Worm Bin? I anticipate that it will take 3-4 months for my worm castings to be ready, so take that into consideration when planning when to start your compost! Harvesting is pretty simple; just push the castings and existing contents of the bin to one side, and add new bedding and food to the other. The worms will naturally migrate over to the new side where the food is, and you can then scoop out the castings. Quickly check the pH and moisture in your worm bin so you can know if your worms are in danger! Easy-to-read gauge alerts you to dangerous conditions with just a glance so that you can instantly react to keep your worms safe. You should also see a relatively quick increase in your worm population. Worm eggs look like tiny, pale colored spheres, and they should hatch in 21 days. I’m hoping that if I manage to succeed at growing worms, I can set up a much larger bin system later in the year. Castings can be used as is, or can be made into what is known as ‘worm tea’; basically, you steep the casings in water and use the resulting mixture as liquid fertilizer. A quick look at eBay shows that worm tea is a popular and expensive plant treat, but I am looking forward to creating my own. This article was written by Katy at the Poppy Creek Farm, check out her site (here). That’s all, fellow homesteaders! But, there’s an added bonus too, one that is not lost on my husband, and I bet your family will be all for it, too. The resulting worms are perfect for fishing, so you’ll have your very own bait right there on hand for fishing trips. For a family that regards fishing as important as the other necessities of life, such as breathing and water, the prospect of home grown bait suddenly puts vermiculture into a whole new light.